Science is amazing. Take a look at that picture of a black hole. Human beings did that, with our tiny little brains that were evolutionarily optimized for hunter gathering and social interactions, not mathematics and physics. Science is the best tool we have for understanding the universe, and when we pair our science with compassion, it becomes a tool for optimizing our lives, here on Earth. Once upon a time science was the purview of men. Few women could penetrate the field and make meaningful contributions. This prejudice essentially kept half the brain power of the human race out of the quest for knowledge. That black hole picture I mentioned above would not have been possible without the efforts of Dr Katherine Bouman, a 29-year-old post-doctoral fellow at MIT. 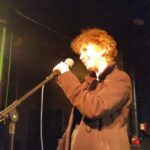 Bouman, of course, acknowledges the contributions of all the men and women who contributed to the project, and understands her contribution and the contributions of generations of scientists before her, but her achievement is not diminished by these facts. Rather, by seeing herself as a link in the chain of the process called science, a process that stretches from the past into the future, she can accept her well-earned accolades with humility and grace. This week I had the pleasure of covering other woman scientists who have made or who are poised to make great contributions to our world. 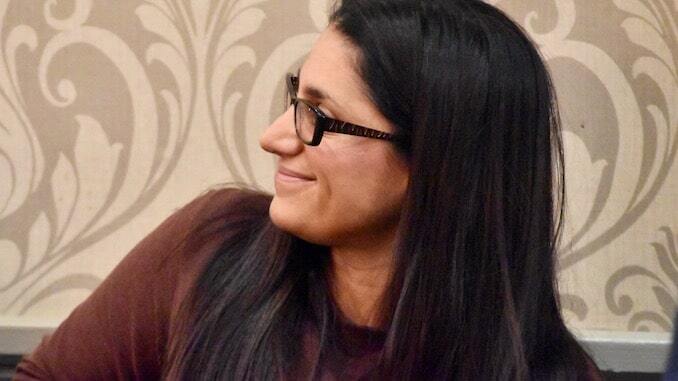 Dr Mona Hanna-Attisha is a pediatrician working in Flint, Michigan. After government officials switched the source of the City’s water from the Great Lakes to the Flint River, Hanna-Attisha noted an increase in children’s lead levels. No amount of lead is safe for children, but Hanna-Attisha and her team soon found that the water was overflowing with lead. Hanna-Attisha went public with her research before her research was peer-reviewed because the public health implications were so great, and peer-review takes precious time. Initially the government denied her findings. But very quickly the government backed Hanna-Attisha’s research, and within a month the source of the water was switched back. Now Hanna-Attisha leads efforts to improve the health outcomes of children in Flint. 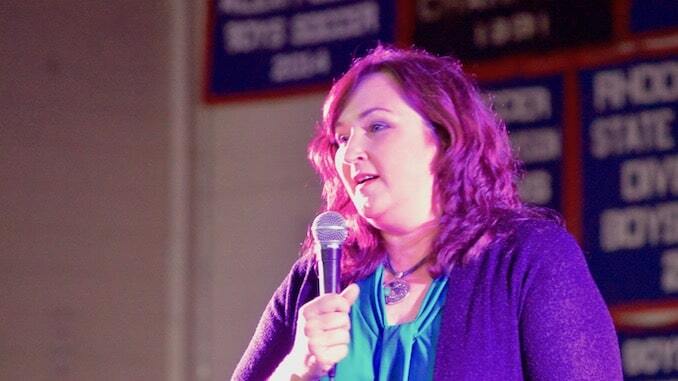 Her work and her advocacy will literally change the lives of tens of thousands of children. Hanna-Attisha was in Rhode Island on Thursday. I recorded one of her appearances here. 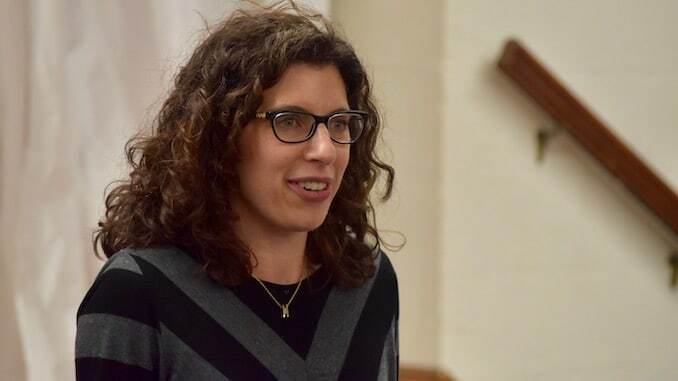 Ranney spoke on her perspective of gun violence as a public health problem rather than as a criminal problem at a meeting of the Rhode Island Coalition Against Gun Violence (RICAGV) in Cranston. I recorded her presentation here. Doing something about the predatory practices of payday loan companies in Rhode Island is not something that will happen under current General Assembly leadership. The various payday loan companies operating in our state give hundreds of thousands of dollars each year to well-connected lobbyists with privileged, insider connections at the State House. This makes the leadership in both the House and the Senate, including Senate President Dominick Ruggerio (Democrat, District 4, Providence), Speaker of the House Nicholas Mattiello (Democrat, District 15, Cranston), Senate Majority Leader Michael McCaffrey (Democrat, District 29, Warwick) and House Majority Leader Joseph Shekarchi (Democrat, District 23, Warwick) complicit in the practice of payday lending, which soaks the most vulnerable of Rhode Islanders with fees of around $7.6 million a year. Rhode Island, Maine and Delaware are the only states in the northeastern United States to allow payday lending to continue. 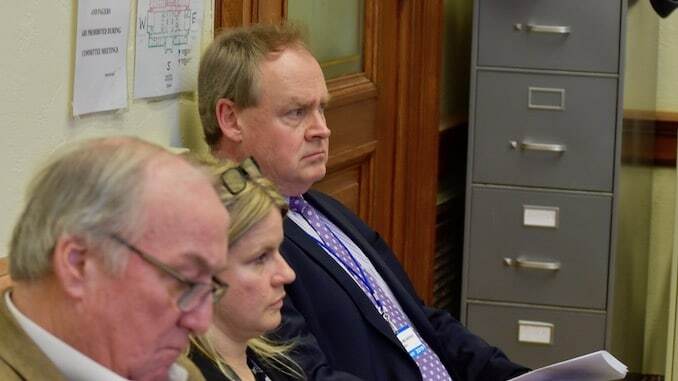 Bills to stop this terrible practice are introduced annually, but the hearings are held in small rooms without video or audio recordings, and attended mostly by lobbyists like former Speaker of the House William Murphy (Democrat, District 26, West Warwick). 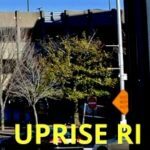 Payday loan company Advance America pays Murphy $30,000 a year to make sure payday lending is never reformed in Rhode Island. Murphy and current Speaker Mattiello are close personal friends. At the Senate Commerce Committee hearing for a bill to curb the high interest loans, Majority Leader McCaffrey entered the room and personally shook the hands of all the lobbyists present. House Majority Leader Shekarchi’s relationship with payday loans goes back at least seven years. 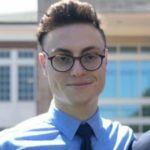 Other lobbyists working to keep predatory loans legal here in Rhode Island include Nicholas Hemond, who is paid $20,000 per year by Axcess Financial and Stephen Alves, who is paid $40,000 per year by Axcess Financial. 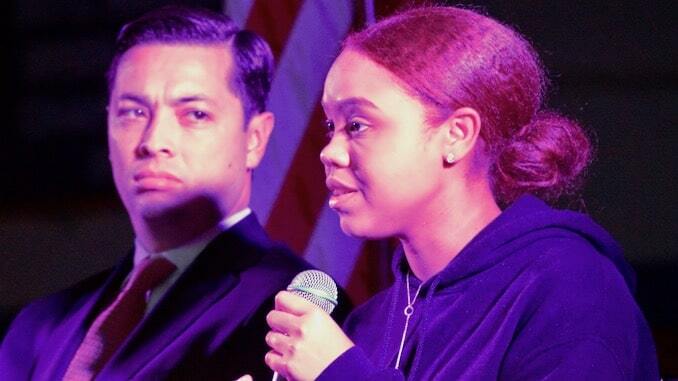 Central Falls Mayor James Diossa, hosted Parkland, Florida Mayor Christine Hunschofsky at a forum in Central Falls High School to talk about gun violence and school safety. In February 2018 a gunman entered Marjory Stoneman Douglas High School in Parkland and killed 17 people, and injured 17 more. Sharing the stage with Diossa and Hunschofsky was Central Falls High School Student Lorraine Quintero. She spoke about School Resource Officers (SROs), armed police officers stationed at many of our nation’s schools. She was asked if SROs are more important than guidance counselors. “I feel that both are so important,” said Quintero. “I know that at our school we have a good relationship with our SRO Officer. He’s very kind. 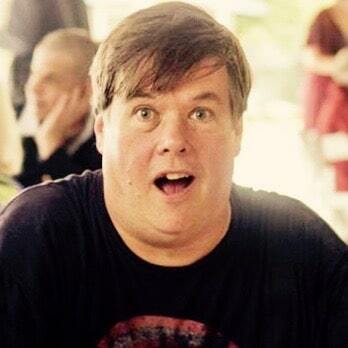 We’re on a first name basis with him. A lot of us interact with him. Since the ACLU revealed that the Wyatt Detention Facility began housing ICE detainees under a modified contract with the United States Marshall Service two weeks ago, a lot has happened. 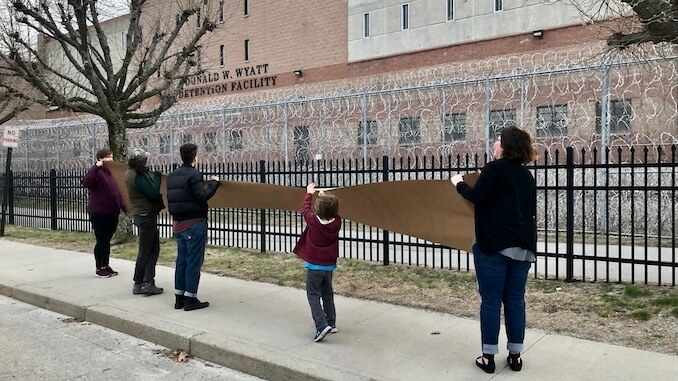 The week began with AMOR, an immigrant rights group, holding banners and blaring a recording of a phone number outside the Wyatt in an effort to contact the detainees inside. The detainees inside the Wyatt and those outside who want to help them are in a well-designed Catch-22 situation. To help the detainees with legal advice or social services, you have to have their names. You need their names if you want to send the detainees money that they can use to access the Wyatt’s phones, to make calls outside the facility for legal help. The problem is, the names are not being publicly released. So the detainees were being denied their most basic human rights, and it was impossible to be sure that they were being properly treated, because there was no way to check that the government’s assurances that the detainees were being well taken care of were true and accurate. I sent an Access to Public Records Act (APRA) request to Wyatt officials asking for a list of names of those being held. My request was denied. I appealed that denial, and now I’m waiting for a decision from the Rhode Island Attorney General‘s office. “The idea that these detainees might face harassment if their identities were revealed is certainly a concern, but what of the harassment anyone might face when arrested for a crime or imprisoned? When the government sends people into prisons for detainment, then refuses to reveal the names and statuses of those being imprisoned against their will, where does such secretive government work end? “Who will be the next class of people to be secretly arrested and detained without access to lawyers, clergy, or representation? “The detainees may possibly face a risk of harassment if their identities are revealed, but is that risk of possible harassment greater than the actual, ongoing denial of rights and identity these detainees are subject to by the government and by a public-private prison subject hiding behind powerful, high-paid attorneys to ensure their anonymity and suffering? 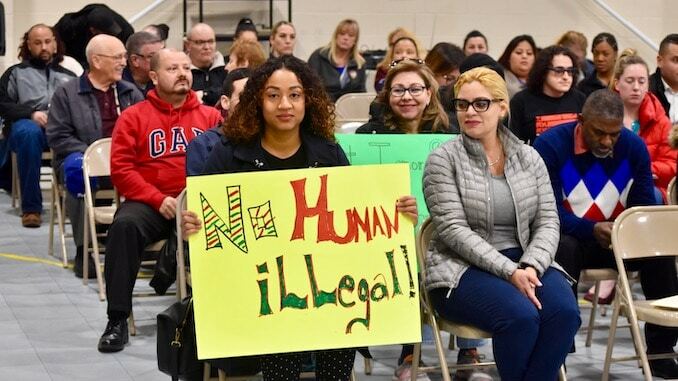 “This is the same government, by the way, that feeds the anti-immigrant rhetoric that may possibly expose these undocumented asylum seekers to public harassment. First the government, under President Donald Trump and his allies, created the atmosphere under which these immigrants may be harassed, then the same government proceeded to anonymously arrest and detain these immigrants under the pretense that they are somehow protecting them. 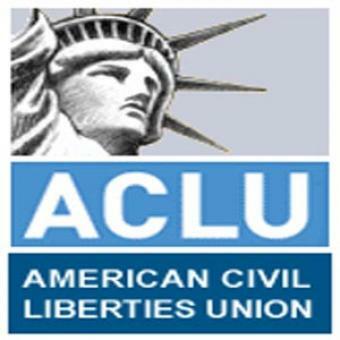 “Anyone in the United States who is arrested and detained is subject to having their identity publicly released. There is no expectation of privacy when a person is charged, convicted and/or imprisoned. There is an online database maintained by the Rhode Island Department of Corrections that anyone can used to gather information on anyone incarcerated. This is public knowledge. “There is another concern: The people detained at the Wyatt have no access to lawyers, clergy, or or other services. In order to get a lawyer to them, advocates need to know their names. If these names are not known, no lawyer can get to them. Worse, making phone calls in the Wyatt costs money. None of the detainees have money in their Wyatt accounts. How can someone in the public get these detainees the money they need for phone calls? The public must have a way through this pernicious Catch-22. They need to know their names. The suit also wants the contract with the United State Marshall Service to house ICE detainees at the Wyatt reinstated. That contract was suspended for 90 days a week ago Friday. This story is super complex and has a lot of moving parts, right? The lawsuit certainly weighs heavily on some members of the City Council. But can a corporation sue elected officials who want to put that corporation out of business? For instance, can payday lending companies in Rhode Island sue Senator Metts for introducing legislation to outlaw that practice? If they can, what happens to our democracy? If they can, we are little more than a corporatocracy. Lastly, Kevin Andrade at the Providence Journal has the story about the Rhode Island Attorney General’s office finding that the Central Falls Detention Facility Corporation board guilty of violating the Open Meetings Act “when it approved a $1.5-million loan in an emergency meeting on January 22.” Andrade has been doing stellar work on the Wyatt story. “All three are major private detention corporations. If Jerzyk is correct, then this meeting was the first naked attempt by the bondholders to seize control of the CFDFC, the lawsuit mentioned in item 4c above being the second. The Attorney General’s finding means that a superior court judge can now render any votes taken and contracts signed null and void. This won’t have a direct affect on the ICE detainees contracted to be held at the Wyatt, but it is still an important decision. 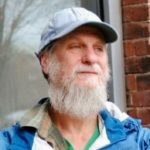 Direct Action for rights and Equality (DARE) is helping to launch the Fair Chance Licensing Coalition to get rid of those laws that prevent recently incarcerated people from occupational licenses. For Rhode Islanders who have been involved in the criminal justice system, occupational licensing restrictions pose a serious barrier to meaningful employment. Many of the entry-level jobs in some of the state’s fastest growing sectors require occupational licenses. Over 70 percent of the occupations that the Bureau of Labor Statistics classifies as “lower-income” require a license. Even some professions for which Rhode Islanders can receive training and certification while incarcerated are closed to people returning home because of how licensing agencies explicitly use criminal records to exclude otherwise qualified candidates. 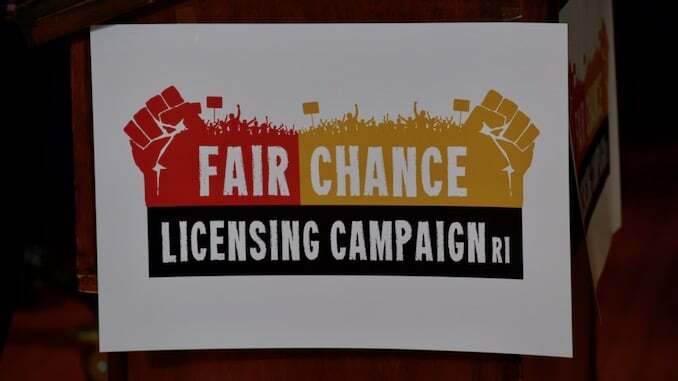 The Fair Chance Licensing Coalition is working on the passage of bills S0610 and H5863. If passed, this legislation would prevent justice-involved Rhode Islanders from being denied an occupational license based solely or partially on a non-related criminal conviction. Both bills develop a standardized process by which only convictions directly related to the duties of the licensed occupation can be considered in the application for a professional license; provide guidance on how those records should be considered when an application is being reviewed; and create a more transparent decision-making and notification process. 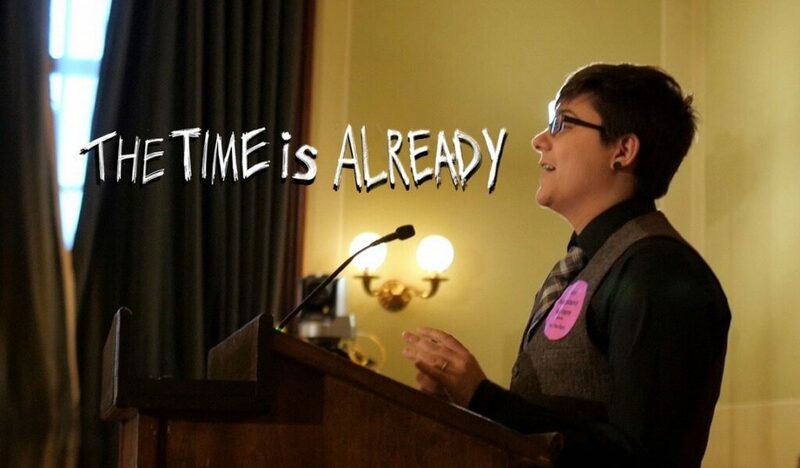 If you’re interested in the true story about how a bill becomes a law in Rhode Island, complete with the pains and efforts of activists, the behind the scenes work of legislators and the pettiness of the some of our legislative leaders, then please check out this half hour documentary, The Time is Already, by photographer, filmmaker and activists Selene Means, a contributor to this site. I went to Boston’s Harvard Book Store to hear Yale Professor Martin Hägglund speak about his new book, This Life: Secular Faith and Spiritual Freedom, because books such as this are exceedingly rare. It is rare to find someone exploring the basis of what Hägglund calls secular faith. Faith is a difficult word for nonbelievers such as myself, who identify as a humanist. Faith has a difficult to define meaning, but is commonly understood to be belief in that which is unprovable, such as God, souls and the afterlife. These are religious concepts, because faith is commonly understood in religious terms. For Hägglund, secular faith is a “commitment to the flourishing of finite life – sustainable forms of life on Earth – as an end in itself.” It is not the promise of salvation and a never-ending life in heaven that motivates humanity, says Hägglund. It is the fact that lives end and existence, even the existence of the Earth itself, is not guaranteed. It is finitude that makes things precious and worthy of protection, value and love, not eternity. “Even though it is painful and difficult to be finite, that is also the condition for anything mattering, anything to be at stake, anything being valuable and worth caring about,” said Hägglund to the crowd of over fifty people who came to hear him speak in Boston. You can read my full piece and access the video from the event here.